Hilord Chemical Corporation, founded in 1970, is an innovative manufacturer of high-quality inkjet inks and coatings for the digital printing industry. Located in Hauppauge, New York, our fully-equipped facility is designed to be efficient, productive, and eco-friendly. Our diverse staff of employees includes scientists technically skilled in the fields of chemistry, polymer science, and chemical engineering. 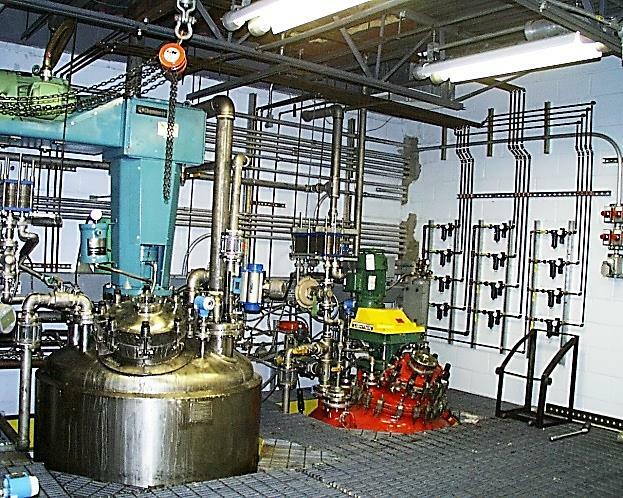 Hilord doesn’t just mix materials and claim to be an ink manufacturer; we begin our ink development at the molecular level with the synthesis of proprietary polymers and additives in our own array of reactors. We also custom formulate and produce a wide variety of dispersions on site. Hilord has a diversified suite of products for the digital printing industry that is the result of years of extensive research and development. Hilord has a long history of working closely with major printer OEMs and print head manufacturers. We have a vast amount of experience in the development of new ink products that are custom-made for optimal performance and outstanding output. Whether you’re an OEM, ink manufacturer, distributor, dealer, or end-user, Hilord can provide you with the solution for your individual digital printing needs.